Having to manage multiple search accounts for a single domain doesn’t mean juggling tons of remarketing and conversion tags. There will definitely be some point when any person who is handling paid search within an agency has managed a client who has multiple accounts. Before there are raised concerns about the idea of double-serving, you should know that there are many reasons behind why this happens. There are many pros and cons of splitting things within multiple accounts but thankfully with the help of search engines it has become easier to share tags through accounts so that you don’t require placing duplicative tags from each account to pull data. Read on to know more. What exactly can you share? It is possible to share remarketing lists and conversion data across multiple accounts, as against setting up multiple tags to track conversions and build lists in each account. In what way should you implement? The implementation varies with different search engines as Google offers few different options. Take a look at each separately. Sharing audience lists and conversions in Bing are straightforward, especially if the accounts are within the same customer ID. When you set up, you will see that the last question in the form will ask you whether or not you would prefer the audience or conversion to be shared among different accounts. If you don’t want this, click the radio button and if you do like this, click on “Across all accounts”. 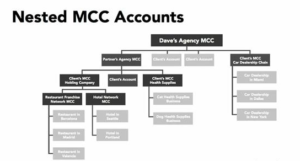 In case you’re creating a new My Client Center with various new accounts, the easiest thing to do is create such data points at the MCC level as against creating them for every account. Set up with MCC with the account which will use the data and choose ‘audiences’ after going to the Accounts tab. Set the remarketing tab in a same way as you would in Google and then create your lists as normally as you would. Ensure that your accounts are set up to share lists by moving back to “Accounts” section and then select Admin tab. If all your accounts are in an MCC with all the other accounts, you may put them in a sub-MCC to make it work. Or else you may choose to link multiple AdWords accounts to Analytics at one point of time to linking whole MCC.